Daisy BB guns are manufactured by the Daisy Manufacturing Corp. 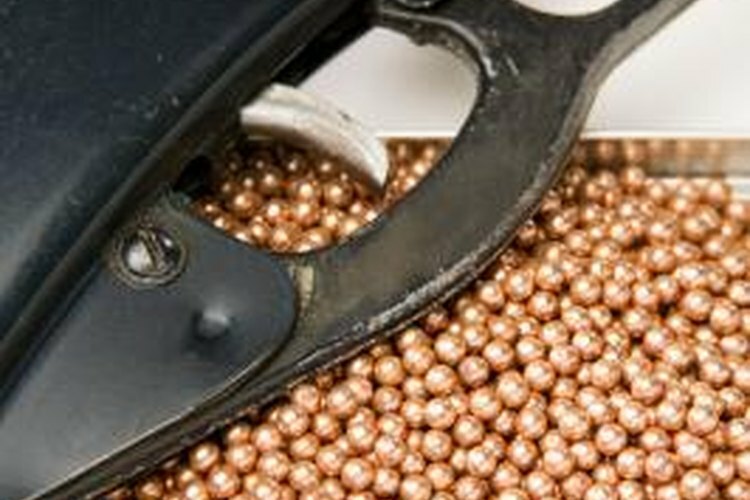 Designed to fire small metal round projectiles called BBs, Daisy guns are available in several different models, some of which replicate actual firearms. Daisy guns have been produced since the mid-20th century with one famous model being the Red Ryder rifle, which copied the design and function of high-powered lever-action rifles. Older Daisy BB guns may need to be restored because of lack of use. Examine the Daisy BB gun. Look for corrosion or rust on the outside of the gun. Work any slides or levers to determine the condition of working parts. Also remove any CO2 cylinder screw caps and inspect rubber O-rings. Attach a brass cleaning brush to the end of a cleaning rod designed for small-bore BB guns. Insert the brush and rod into the barrel of the gun. Push the brush all the way into and back out of the barrel. Inspect the brush for signs of rust or corrosion. Spray a small amount of multipurpose lubricating oil into the barrel of the Daisy gun. Run the brush and rod into and out of the barrel several times to remove corrosion and evenly distribute the oil throughout the barrel. Apply a few drops of multipurpose oil to slides, levers and other moving parts. Pay special attention to pivot points of hand levers on rifles, and release points for pistol slides. Brush any corrosion away with a stiff bristle brush. Inspect the O-rings of CO2 chambers, including those on screw-down caps that hold CO2 cartridges in place. Over time, rubber O-rings may weaken or crack from use and exposure to CO2 gas. Replace the worn, damaged or broken rings with new ones obtained from Daisy or a local hardware store. Wipe down the wooded stock or handles of a Daisy gun with linseed oil using a cloth. Work the oil into the wood to help restore the finish and replace moisture in the wood. Wipe all metal surfaces of the gun with multipurpose gun oil. Spray a liberal amount of oil onto the gun and use a cloth to coat metal parts with a thin coat of oil. Brush any corrosion on metal parts with a bristle brush and apply a thin coat of multipurpose oil. Make sure the gun is unloaded and any CO2 propellant is removed. Use caution when working with lubricating oils.